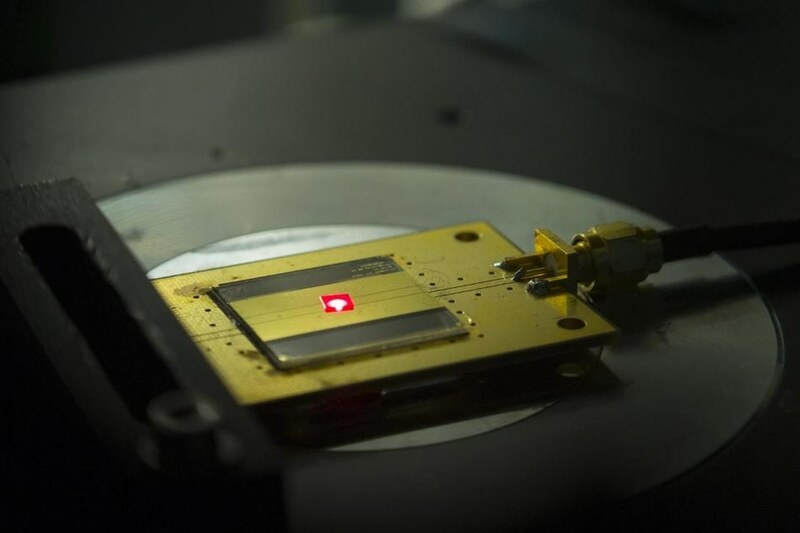 Scientists from the Harvard John A. Paulson School of Engineering and Applied Sciences (SEAS) have developed the world’s smallest radio receiver, which was made out of an assembly of atomic-scale defects in pink diamonds. This small radio, whose building blocks are roughly the size of two atoms, can survive extremely harsh environments. As the radio is biocompatible, it could work anywhere, from a probe on Venus to a pacemaker in a human heart. The study, published in Physical Review Applied, was headed by Marko Loncar, the Tiantsai Lin Professor of Electrical Engineering at SEAS, and his graduate student Linbo Shao. The radio uses tiny defects in diamonds called nitrogen-vacancy (NV) centers. In order to create NV centers, investigators replaced one carbon atom in a small diamond crystal with a nitrogen atom and removed an adjacent atom, making a system that is basically a nitrogen atom with a hole next to it. These NV centers can be used to produce single photons or detect extremely weak magnetic fields. They contain photoluminescent properties, which enable them to convert information into light and make them powerful and promising systems for phontonics, sensing and quantum computing. Radios are composed of five basic components; a power source, a transducer to transform the high-frequency electromagnetic signal in the air to a low-frequency current, a receiver, a tuner and a speaker or headphones to convert the current to sound. Electrons in diamond NV centers are powered by green light emitted from a laser in the Harvard system. These electrons are very sensitive to electromagnetic fields, including the waves that are used in FM radio. When a NV center receives radio waves, it converts them and produces the audio signal as red light. Then, a common photodiode converts the red light into a current, which is converted into sound through a simple speaker or headphone. A strong magnetic field created around the diamond by an electromagnet can be used to change the radio station and tune the receiving frequency of the NV centers. While Shao and Loncar used billions of NV centers to boost the signal, the radio worked with only one NV center, releasing one photon at a time, instead of a stream of light. The radio is very resilient, thanks to the intrinsic strength of diamond. The research team successfully played music at 350 °C - about 660 F.
Diamonds have these unique properties. This radio would be able to operate in space, in harsh environments and even the human body, as diamonds are biocompatible. The research was co-authored by Mian Zhang, Matthew Markham and Andrew M. Edmonds. It was supported in part by the STC Center for Integrated Quantum Materials.